That must have been one epic weekend, mate. A 15K Ghost army? Wow! That must have been a sight. 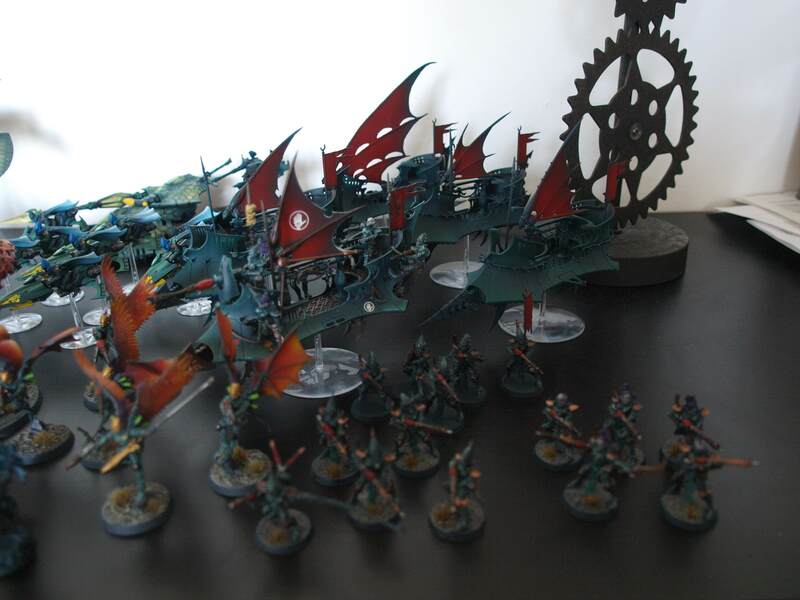 Luv it, when I was able to field 90 Wraithguards and wraithblades, 6 wraithlords, 5 wraithknights (Dreamwalker Formation), 2 shadow councils and more stuff just couldn't remember it off hand, have to find the list. 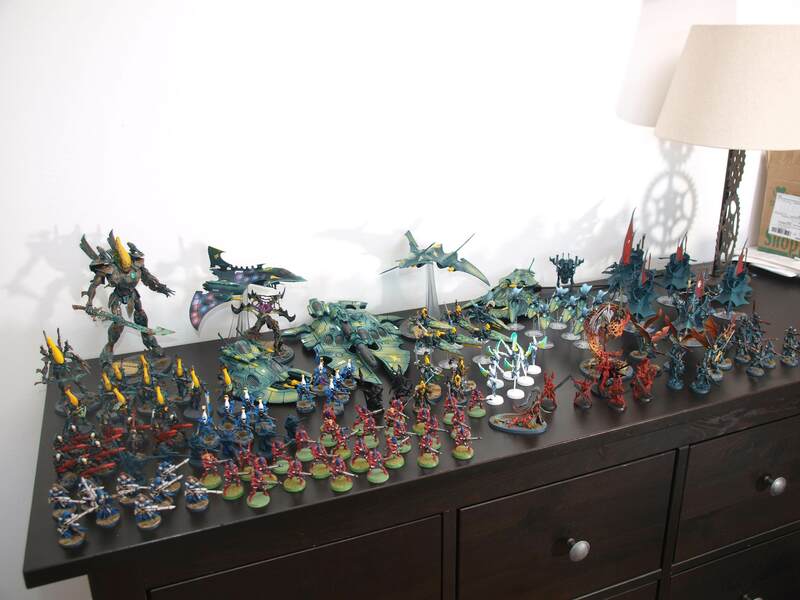 It's funny that I've been collecting and playing Eldar for well over 10 years, yet only got into some serious painting just a couple of years ago. The one most important factor that made this transition possible was an airbrush. Before that I never really tried to do anything better than the "minimum of three flat colours" paintjob (with the exception of a handful one-off models), simply because painting, say,a group of 5 infantry up to a decent quality would take me a minimum of 5-6 weeks, and that's if I spend at least 2-3 hours at my painting desk every day without a single break! Airbrush brought me two huge benefits: firstly, it made my painting at least 3 times faster (now I can do a squad of 5 guys or 1 vehicle in about 2 weeks, which is still horrendously slow but just within the boundaries of acceptable), and secondly it almost instantly enabled me to create some nice and smooth colour transitions between general shades and highlights. To me, smooth colour transitions is a must for a paintjob to qualify as "good" - but achieving it by applying hundreds of translucent layers of paint takes forever, and that "wet-blending" thing is simply beyond my comprehension Airbrush solved that problem for me, enabling me to finally become a proper hobbyist with a (hopefully) nicely painted force of my own making. Niiiiice!! With my painting ability out there, mate, there is no way that your skills are lackluster. 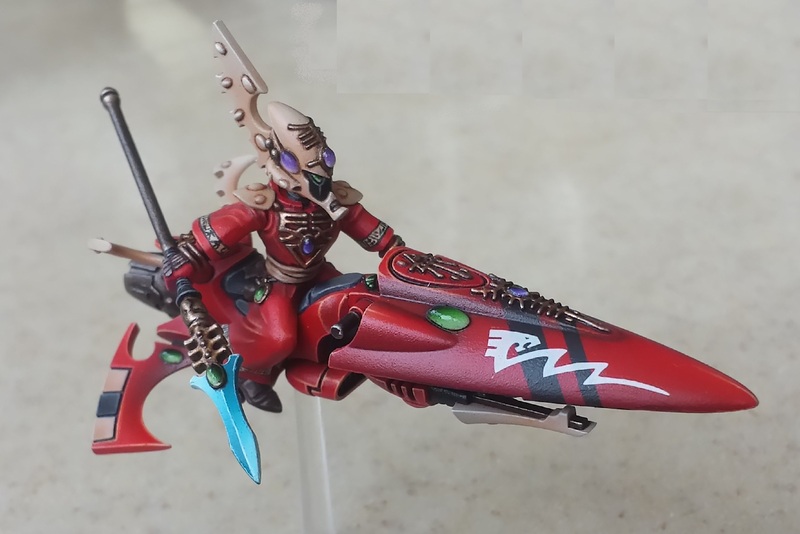 Was going to post some of my Doggies, but after looking at your Eldar? NO-BLESSED-CHANCE! Looking good, mate... Be well! Seriously man... this is some of the nicest looking work I've seen on the forums. Just incredible paint jobs. The Farseer is a thing of absolute beauty and those Spiders (you gotta love those Russian sculptors) are just gorgeous. Absolutely stunning work Seeking One. I'd love to see you down in the Project Logs with us. Seeing stuff like this always gives me a kick in the pants to up my game. Killer! Awesome work - especially the Farseer. The helmet toning with that handed touch of blended peach is magic. So smooth. Absolutely stunning. 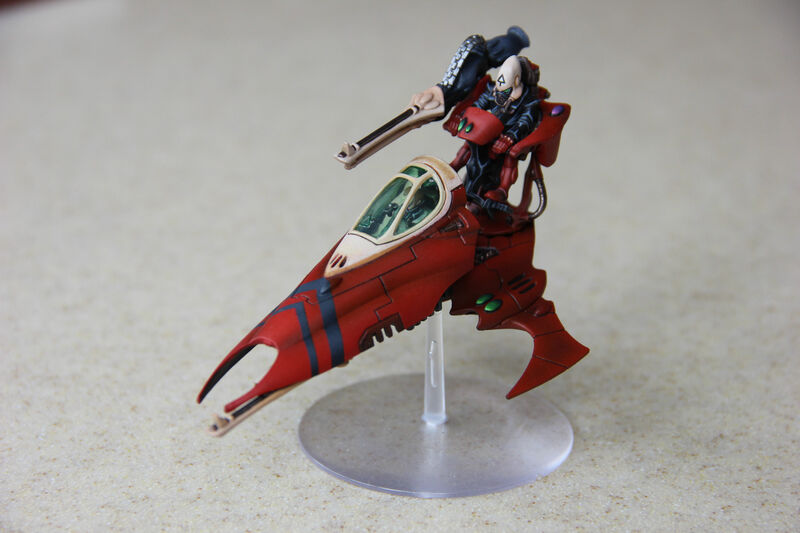 I especially love the Farseer Skyrunner and the Spiders. Those casts are excellent and your painting is making them shine! Wow Seekingone...you kept that quiet man! 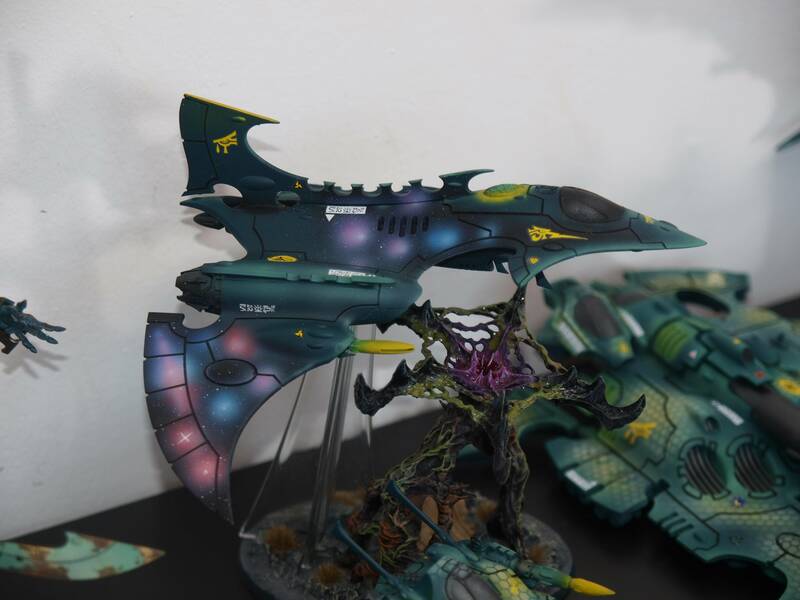 Those are some of the best paint jobs I've seen on these forums; definitely the best work we've seen since the likes of Valar and Oink stopped posting. The work is sublime. 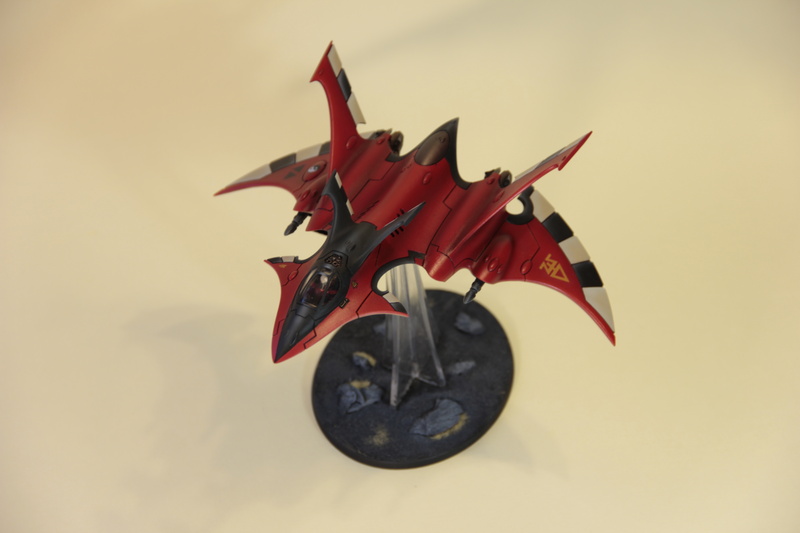 Your skill with an airbrush is obvious, but there is some ridiculously good brush work on show too. The quality of your colour transitions is excellent. The faces. The Crystalline blades. The gems. Those death spinners. It really is hard to pick out the bits that I like best because the overall effect is so startling. Just wow. Take a bow. He's always modest about his works. 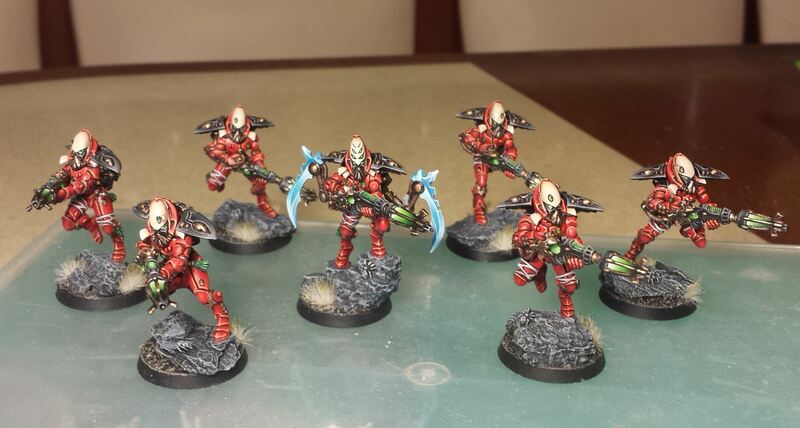 Great job on those warp spiders, did they take long to get to you? Where I live there's a small retail store that collects orders from local hobbyists and then places a consolidated order with the models' creator. I was lucky to call in right after someone refusing to pick up a sizeable order, so I just went there, paid and got my models instantly. From what I heard from the people who actually ordered the models remotely, it takes about 6 weeks for the order to arrive. I actually ordered some just recently. I'll let you know how long it takes. They're currently processing through Russian customs. Hell yeah! Get down in the Project Logs I'd love to see what you are cooking up! Your painting skills are epic I'd love to see your process. you guys have some awesome paint work. And it is work! I am more of a modeler and caster....wish I had those skills. Cavalier, Haunt, SeekingOne and the others I did not go back thru to see....I'm intimidated !!! 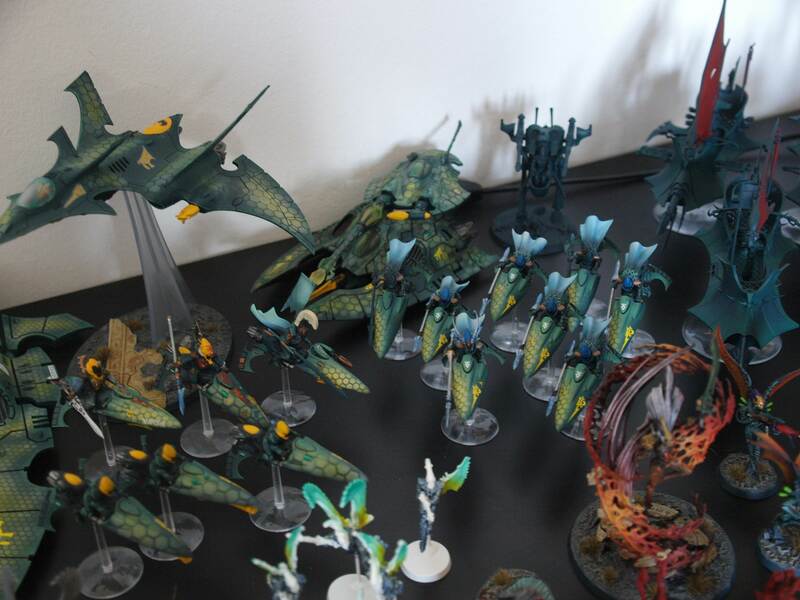 Today I took some pictures of my aeldari collection. 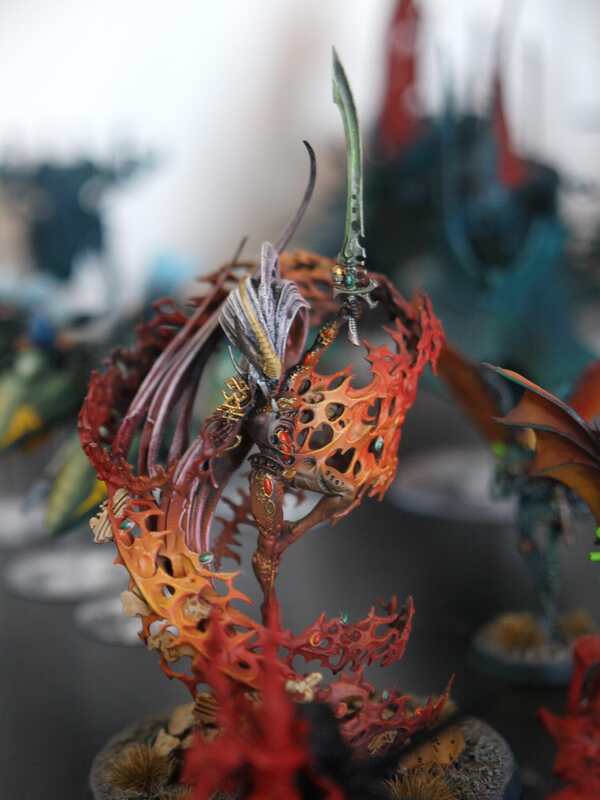 A lot is still in the work, a big motivation for painting is always a tournament and for that I try to finish the most competetive units (that I will field). 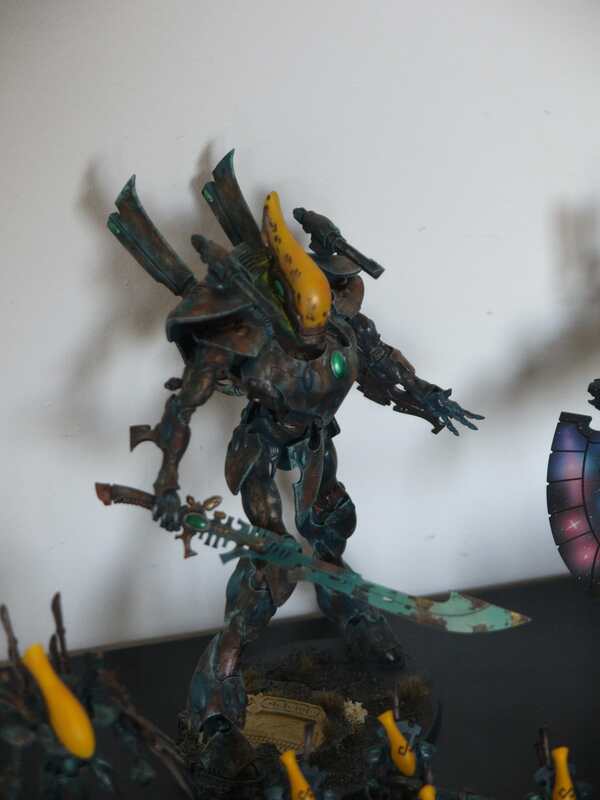 But taking every model into my hands again I actually have some motivation to finish a lot of those that I allready started (the wraithblades just need their base and and some sealer, 2 shining spears need their helmets and weapons painted, ...). The guardians don't fit in because I bought them used some weeks ago, when I finished the rest of my collection I will strip them and paint them in my colors. 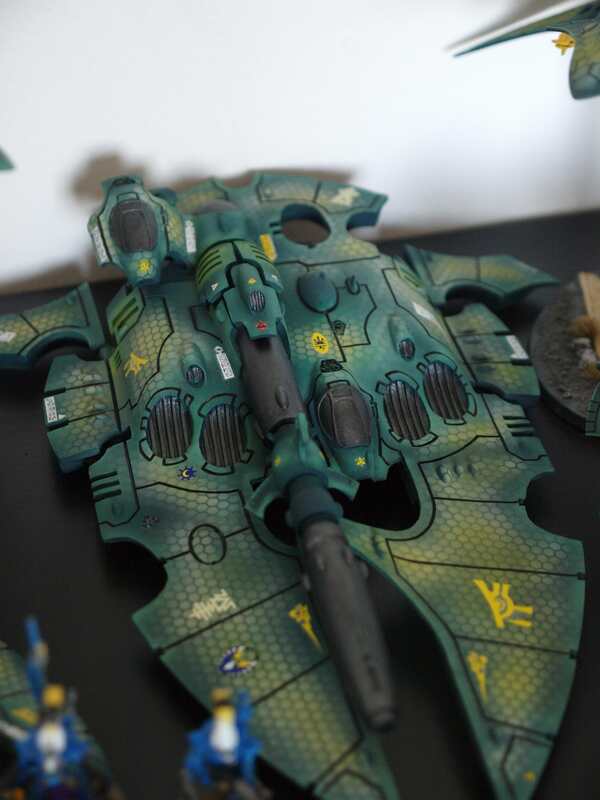 Currently I am working on the cobra and the dark eldar (man, I hate the name drukhari). I am not the best painter but I try to finish my models in a reasonable time. 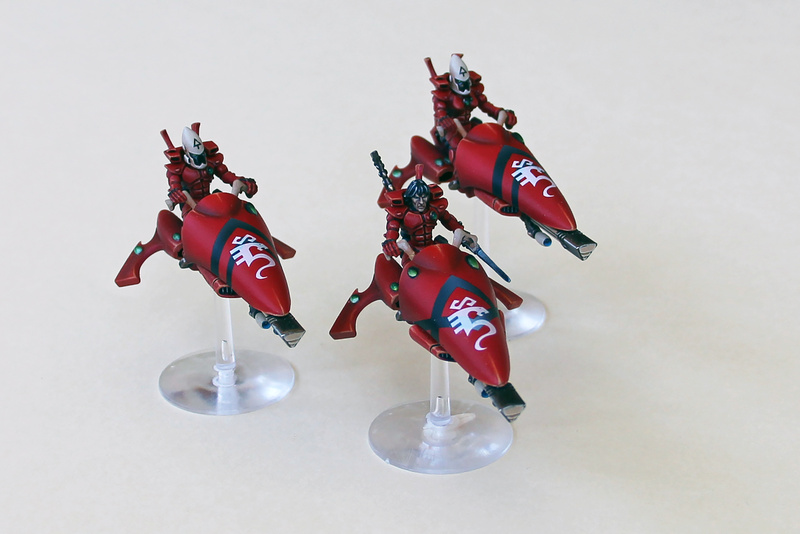 Like SeekingOne wrote in his post at the top of the page: When I got an airbrush the fun started. Its a big time saver and you can get some really neat effects! 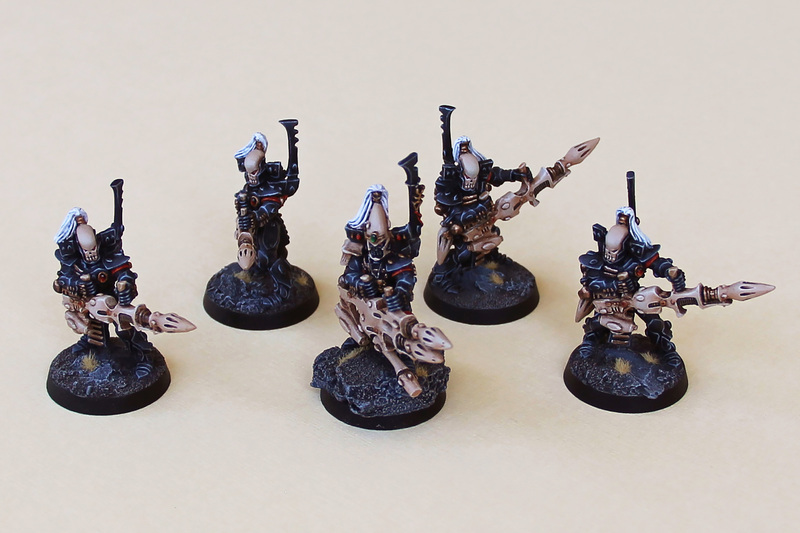 With the colorscheme I wanted to tie the Eldar and dark eldar together because I really enjoy the ynnari storyline. 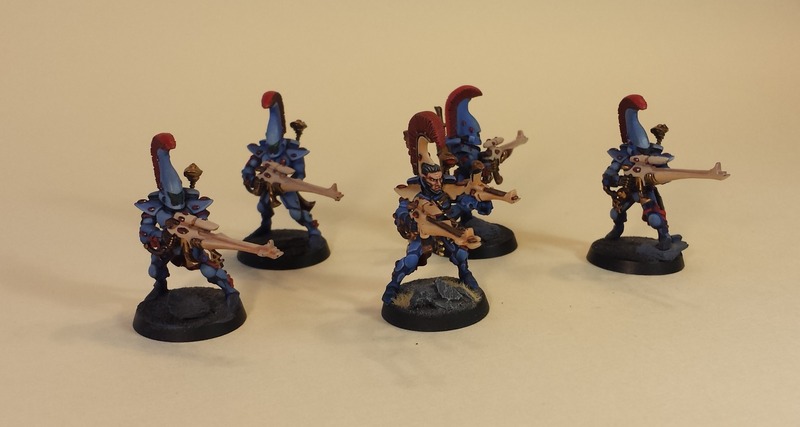 I have some harlequins aswells (just a troupe and a starweaver). I think those will be black with yellow and red diamonds (to tie them together, while still having some contrast. 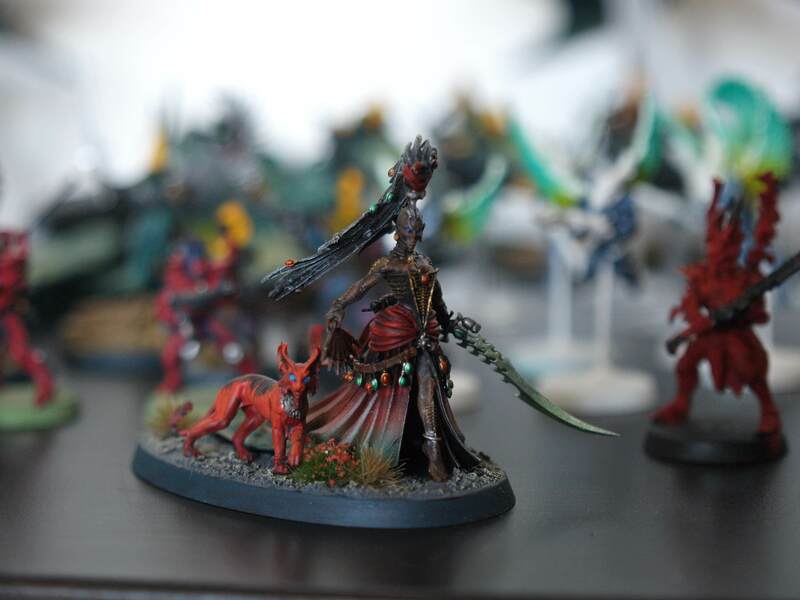 In the lore they still follow cegorach while helping yvraine, as I understood it). Very nice. Air brushes and hex patterns are our friends. Your use is perfect. 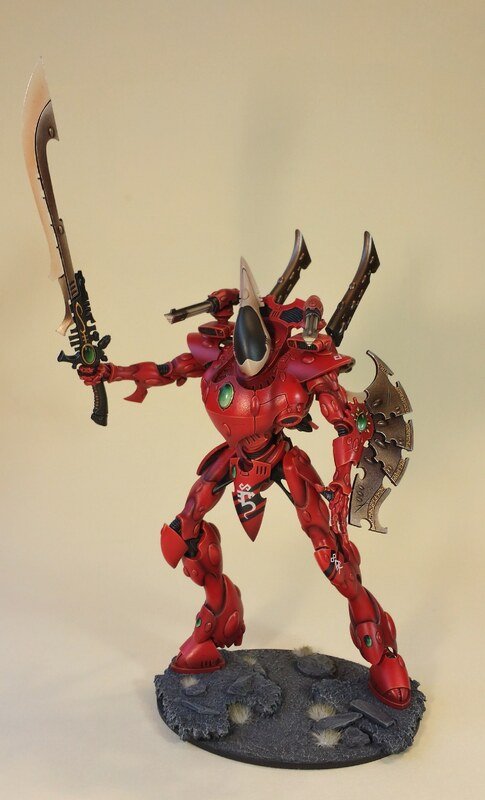 Im big on the ynarri too only I built mine more around the Harliquins. Keep posting.